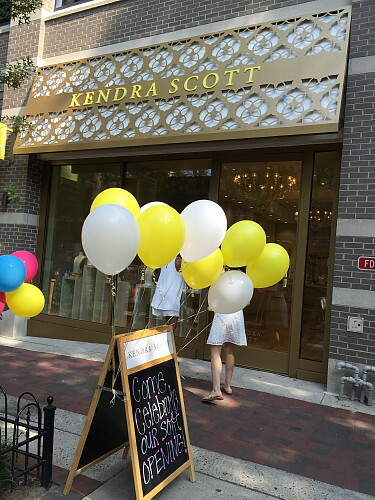 I've been a Kendra Scott fan for a year now and was so excited to learn they were opening a store in my area! 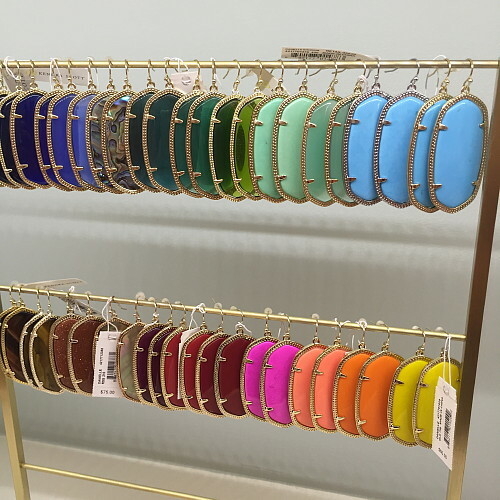 At their opening the first 50 customers received a free pair of Danielle Earrings in mint with a purchase! There was also a mimosa bar, lemonade and Georgetown cupcakes. 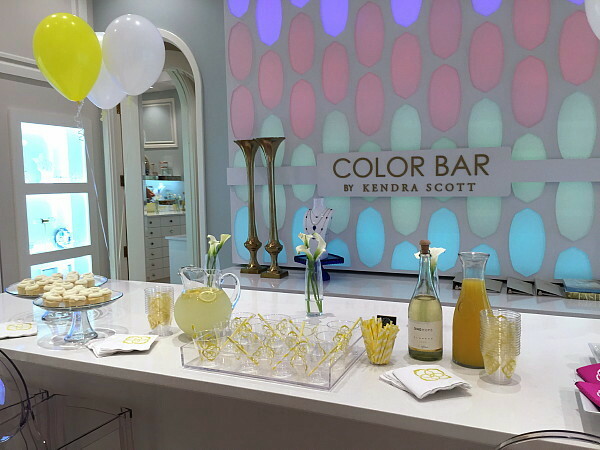 Did you know that Kendra Scott is only 38 years old and launched her line ten years ago! 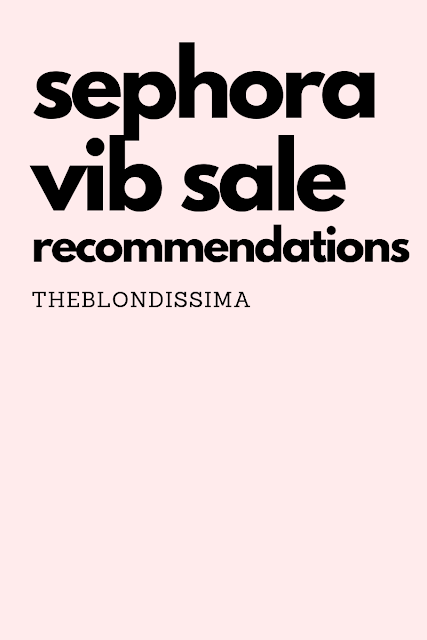 Now you can see lots of celebrities wearing her pieces. 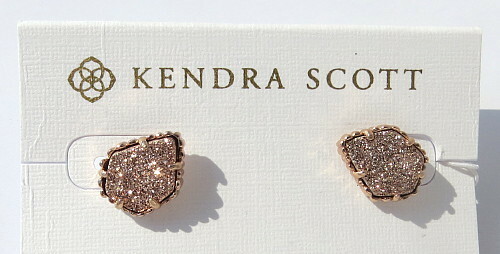 I already have her Rayne necklace in white that I wear almost weekly, along with matching earrings. My earlobes can't handle heavy earrings so I got her Lobe Wonder which is just a sticker you put on the back of your ear which really does allow you to wear heavier earrings for a longer time. 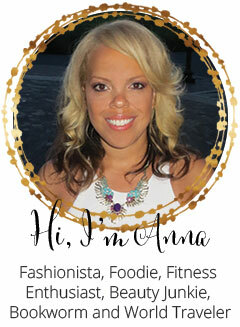 Jewelry is my favorite way to accessorize and enhance an outfit. 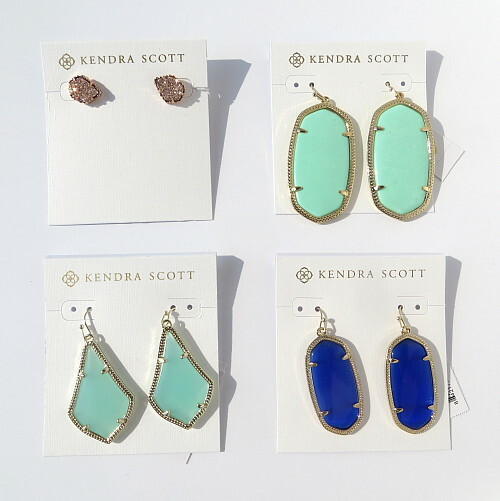 I feel that every year I'm constantly changing my jewelry style, but with excellent pieces such as these below, I don't think the hype over Kendra Scott is going to die down any time soon. Each piece is definitely worth the investment due to its ability to be worn time and time again. If you sign up for an account, during your birthday month you get 50% of one item! My loot, I bought the smaller sizes of her popular earrings. On my wishlist is the Andy Bracelet in Chalcedony. 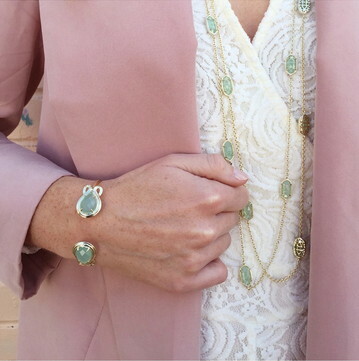 I had never heard of the color/stone chalcedony before, but it's now my favorite color and I could buy everything Kendra Scott sells in in it! I credit the Real Housewives of OC for turning me on to Kendra Scott last year. When I saw them wearing these pieces I immediately googled to find out who the designer was. For ideas on how to organize your jewelry, check out this post.